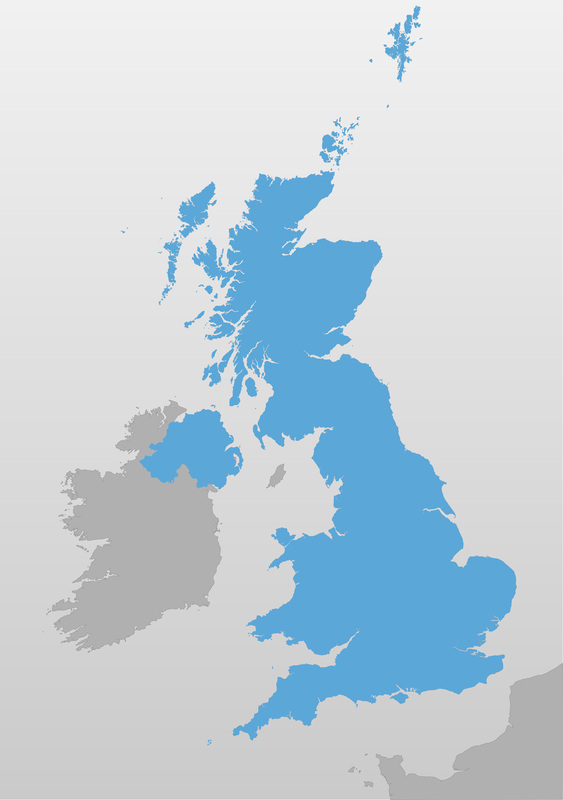 This outline map of the UK can be scaled at anything from thumbnail up to poster size. It has superb coastline detail that includes literally hundreds of islands off the UK mainland. Even far-flung St Kilda is plotted, along with islands that are otherwise often shown as part of the mainland, such as the Isle of Anglesey in Wales. We know of no other vector base map of the UK that has anything like as much detail and accuracy to its coastlines for this price. Paths have been drawn so that you can easily colour or highlight the component countries of the UK — England, Scotland, Wales and Northern Ireland. The surrounding countries are also shown for context.